This is not just black history month; this is also Black Panther month. If you do not know what I am talking about yet AND you are black, I am judging you! Everybody else enjoy the wonderful Black Panther trailer below. One of the things I am looking forward to about this film is the intoxicating amount of #blackgirlmagic in it! From T’challa’s mother, Ramonda (Angela Bassett) to Wakanda’s own CIA agent, Nakia( Lupita Nyongó), to the Dora Milaje an elite, all-female squad of warriors sworn to protect the kingdom of Wakanda, led by the character Okoye (Danai Gurira). Black Panther has an insane representation of strong black women, a feat unknown to the big screen. 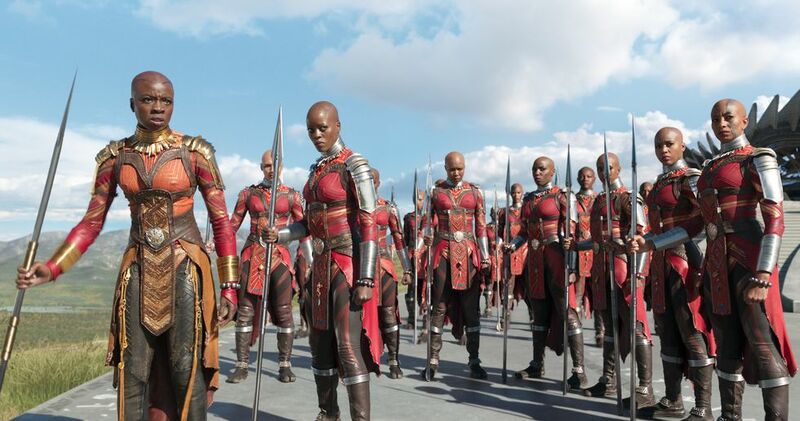 The Dora Milaje (Black Panther's all Female Army) are reminiscent of a real life army in African history during the 17th-19th century West Africa, The Mino warriors. 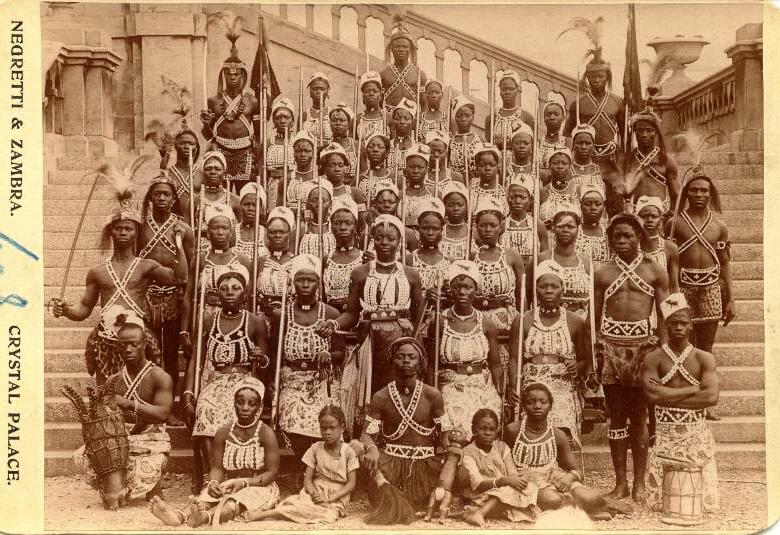 They were a fierce all female military squad in the kingdom of Dahomey, West Africa (modern day Benin), that was the center of a highly organized military force the kingdom used to expand its territory. The Mino were nicknamed the Dahomey Amazons by the first Europeans who encountered them, likening them to the Greek mythology Amazon warriors depicted in the film Wonder Woman. However, amongst their own, these women were known as the N'Nonmiton or Mino, which translates to “Our mothers.” While some may say they were not maternal, I like to think they indeed were the mothers of their kingdom, in how fiercely they carried out their duty of protecting it, just as any mother would her child. Just like women of today in heavily male-dominated occupations, the Mino warriors were in constant competition for glory with their male counterparts in training and on the battlefield. In training, they consistently displayed greater stamina compared to the men, including in exercises similar to “Hunger Games” style expeditions in the jungle with only their machetes and no other supplies to train survival skills. They were also highly desensitized to death with swift decapitation being their signature battlefield act. With the fighting motto of ‘Conquer or Die’, the Mino literally fought to the death for country and king. In addition, they also rose to prominent roles in the Grand Council of the kingdom and participated in debating the policy of the state. The Dahomey kingdom finally acquiesced to European colonization with the territory eventually falling under the French and the Mino being disbanded. The Mino Army is an incredible example of women in traditional African society who played a unique role in building their kingdom. There were able to rise to positions of command and influence and for some gain an escape from the drudgery of domestication, which is incredibly badass! They could even become wealthy as single independent women, living in the King’s compound of course, but well supplied with food, tobacco, and alcohol at their disposal :)! The Mino are the epitome of the #blackgirlmagic I aspire to every single day!